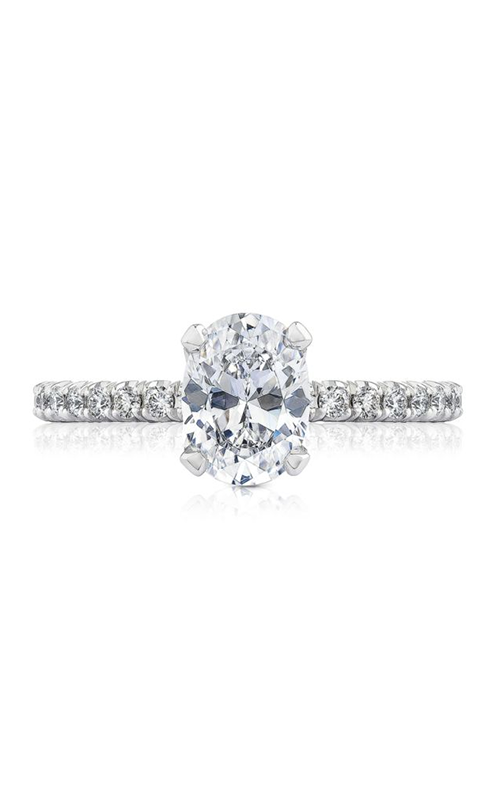 Commemorate your special occasion with this Sidestone engagement ring by the well known brand, Tacori. 18k rose gold gracefully decorate this ring with model number HT2545OV85X65PK. Vintage, Milgrain-styled, this gorgeous engagement ring will shimmer the ring-wearer with elegance and sophistication. It also features Round-cut stones intricately placed on a Prong setting. This engagement ring with model number HT2545OV85X65PK will surely leave an everlasting memory as you start your future together. Brilliant Diamonds is an authorized retailer of Tacori. Our shop in San Diego exclusively carries 100% authentic items. 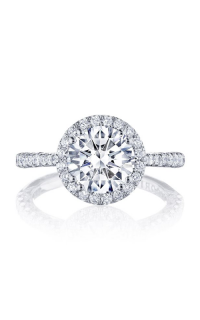 Stop by our store to find out about this beautiful engagement ring as well as the latest jewelry collections by Tacori.